Big data is interrupting the real estate industry at a major level. Here's what to know about how it does so and why it matters. Big data has a lot of applications. While we usually focus on big data’s impact in the marketing and fitness industries, there are other sectors that are equally affected by them. Large-scale real estate companies and firms have been using big data for a long time, but now the technology is becoming more affordable and readily available. These big data trends are having the biggest impact on the real estate industry. According to CIO, big data is the leading driver behind decisions in the real estate industry these days. It is being used for everything from expediting the appraisal process to evaluating essential trends. Predictive analytics is one of the most important applications in the industry. 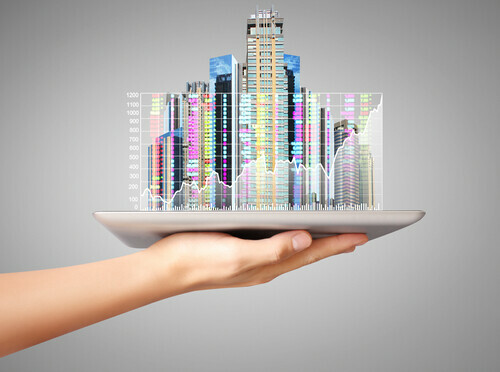 Predictive analytics is a huge market that has become extremely valuable in real estate. Firms big and small are using predictive analytics to better understand the state of the current market. Through big data, it’s easy to find trends in the market and analyze what’s really occurring. Smarter investments can be made in the market thanks to this advanced analysis. While this may be used less in residential real estate, it is used extensively in commercial real estate where transactions have higher values and risks attached. There are a number of companies in the $235 billion industry using big data in real estate. Analysis can also be done for tax exempt real estate to determine if the location may be viable for a charitable building or if there’s too much risk for a certain piece of property. Market data going back several years can all be collected and analyzed quickly, making it fast and easy to provide an appraisal that’s accurate. Property evaluations as a whole are more accurate thanks to big data. Automated models will be able to replace traditional appraisals with an error rate near 9%. Many factors used during a manual appraisal are dated, often ignoring expensive upgrades and improvements that may boost the home’s value significantly. Lenders take on a significant risk when they disperse money to a borrower. These lenders are working with big data to reduce these risks. But one of the more interesting uses for big data that lenders are using is deciding whether or not to foreclose or short sale on a home. These institutes are backed by data and better able to determine if an offer to buy a property is viable. Online resources are also being used, digitizing records to help eliminate errors and reduce the amount of paperwork involved in transactions. Potential offers can also be verified using big data to reduce the risk of scams or unqualified buyers making a bid on a property. Big data is getting to the point where developers are working on location intelligence, which will be the future of real estate transactions. Through big data, it may be possible to use real-time virtual imaging to make house hunting completely virtual and offer potential buyers new, exciting opportunities to scout out houses. Real estate professionals around the country are beginning to appreciate the incredible value that big data has brought to them. They are going to need to invest in it more heavily in the months to come. Andrej is also a dedicated writer and digital evangelist. He is pursuing an ongoing mission to share the benefits of his years of hard-won expertise with business leaders and marketing professionals everywhere. He is a contributor to a wide range of technology-focused publications, where he may be found discussing everything from neural networks and natural language processing to the latest in smart home IoT devices. If there's a new and exciting technology, there's a good chance Andrej is writing about it somewhere out there.